Write off the competition with this unique, useful giveaway! The Canoodle ballpoint pen features a contoured design with a comfortable rubber grip and a retractable mechanism. 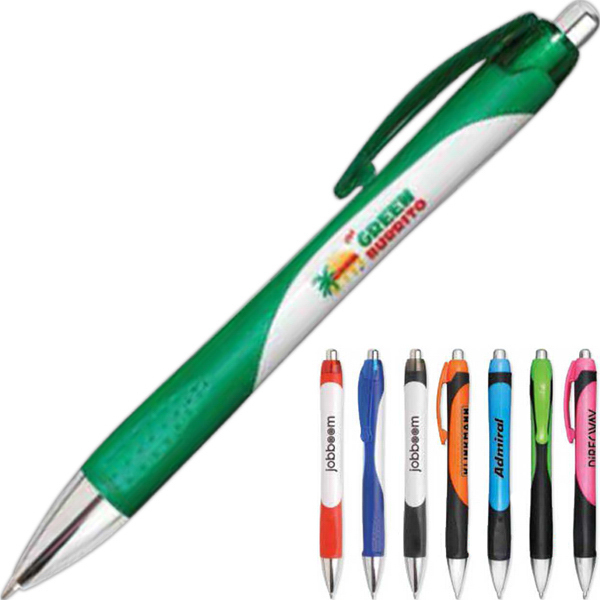 This pen is the perfect promotional item to use for a marketing campaign or event such as a trade show or convention. Customize this pen for a handy souvenir that never goes out of style! This pen takes a medium point refill and is usually in stock!